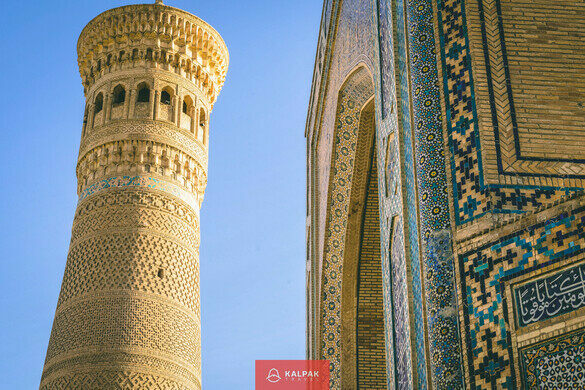 The Kalyan Minaret in Bukhara, Uzbekistan, like the desert that surrounds it, has a history of both beauty and death. One of the most ethnically diverse spots on the planet. Nicknamed the “Tower of Death,” the 48-meter baked-brick tower was constructed in 1127 to call the Muslim faithful in the city to prayer five times a day. With an ornate gallery at its top, and glazed designs etched into the exterior, the tower was known for its impressive dimensions and its artistry. 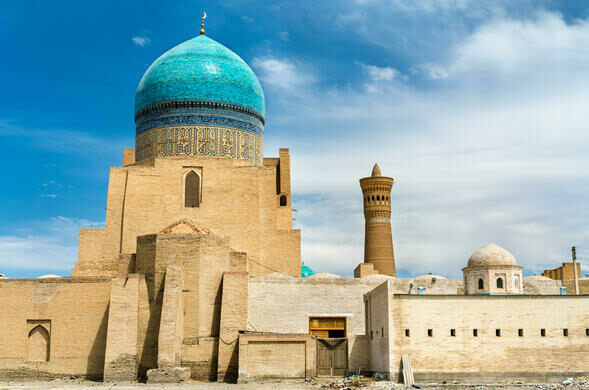 When Genghis Khan arrived around 100 years after the minaret’s construction, local legend has it that Khan looked from the base of the spire to the top, and the steep angle caused his hat to fall off. Admiring the audacity of the tower, Khan ordered the spire spared from the destruction that his army visited on the rest of the city. 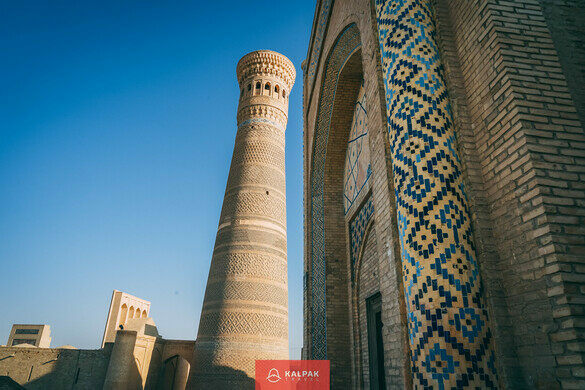 In the 16th century, the Kaylan mosque and Mir-i Arab Madrasah were built around it, and it is now the center piece of the Po-I Kalyan mosque complex. The tower has been used as an observatory, and, during times of war, it served as a lookout to watch for invading armies. Its most famous, and startlingly recent, use was for public execution, where those condemned to die were thrown from the rotunda at the top to the stone courtyard below. The last known execution took place as late as 1920, during the Russian Revolution.